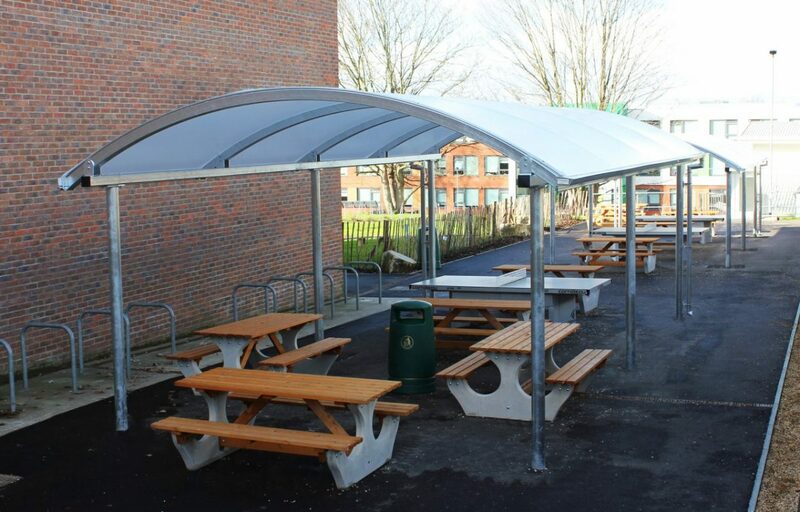 Fordingbridge were approached to maximise use of the outside space of this large mixed comprehensive school in Hampshire, with our extensive canopy offering. 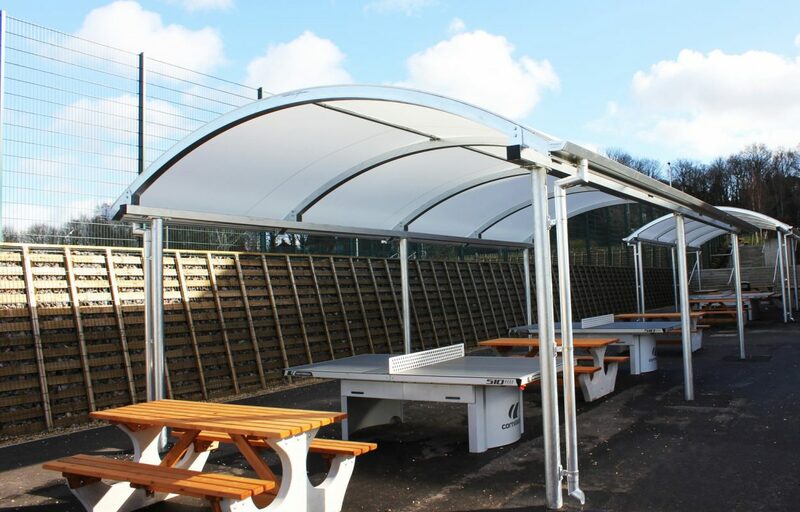 With a large footprint, over multiple elevations, these matching steel tensile canopies were strategically placed to offer a place of shelter between the main school building, the sports facilities and the sixth form building. 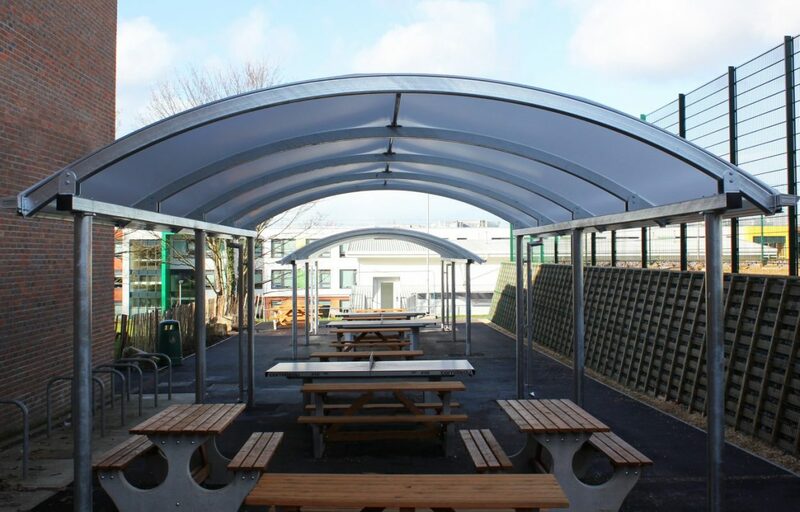 The school, having 5 core values of Respect, Achievement, Community, Enjoyment and Relationships chose this siting to provide students opportunity to socialise under shelter between lessons, and also provide a cover area for spectators and supporters for the adjacent sports pitch. 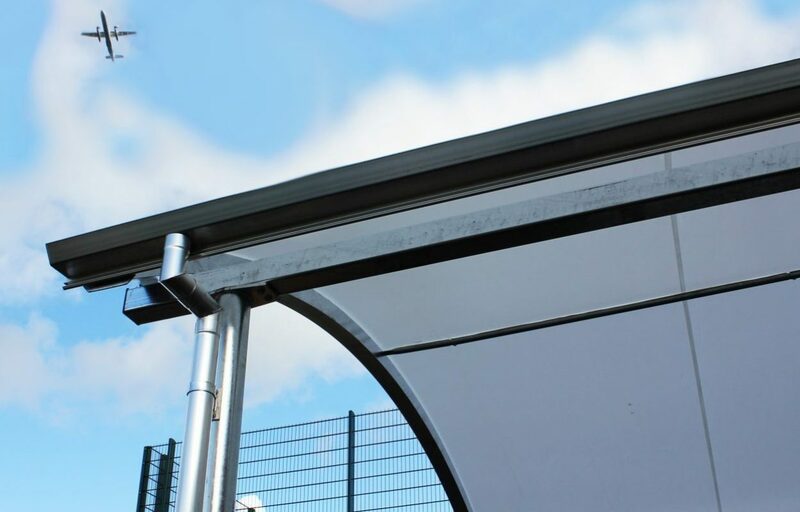 Our offsite engineering facilities made the installation on the school timely and unobtrusive, allowing the school to see the benefits within a short time. Contact us today to see how we can help your school.